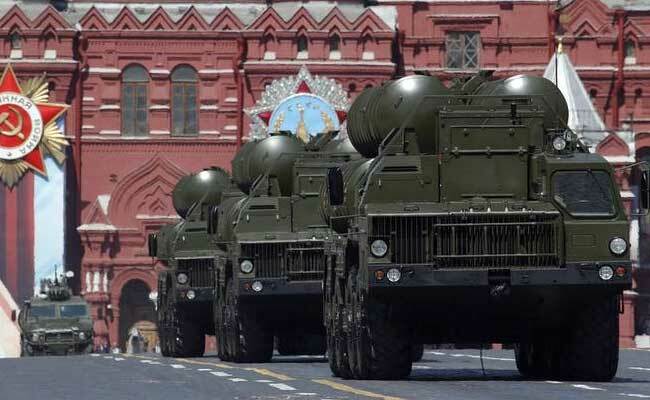 India could face sanctions for purchasing high value military defence items, in particular state-of-the-art S-400 missile defence system, from Russia under the Countering America's Adversaries Through Sanctions Act (CAATSA). The Pentagon is "very concerned" over the possible implications of Russian sanctions on defence ties between India and the US, a top defence department official has said. "We understand India's concern about this and we are very concerned as well. These sanctions are intended to target Russia - not India," Joe Felter, Deputy Assistant Secretary of Defence for South and Southeast Asia, told PTI. India is currently in advance stage of negotiations with Russia for five S-400 system worth an estimate USD 4.5 billion. The air defence system includes radar, missile launchers and command center technology. According to some lawmakers, the latest Indian move to purchase S-400 air defence missile from Russia could be considered as a sanctionable activity. Foreign Secretary Vijay Gokhale and Defence Secretary G Mohan Kumar also expressed their concerns over this during their US visit last month. "We totally appreciate Indians concerns. It was raised in discussions during senior level meetings last month. We also are very concerned because we very much hope to maintain the momentum and the trajectory of this relationship. We want to deepen our cooperation and not to reduce it," Joe Felter said. CAATSA was signed into law in August 2017 and went into effect in January this year. The law mandates the Trump administration to punish entities engaging in significant transaction with the defence or intelligence sectors of Russia. "We are concerned about anything that's going to make it more difficult for us to cooperate. But it's just out of our hands this legislation. I can't anticipate what will actually happen. Any decision to impose sanctions is made outside of DoD," Mr Felter said. "We are committed to building our relationship and keeping it on the current trajectory. We appreciate that that defence trade is a key activity to build this partnership. We will continue to work diligently to maintain the positive trajectory we are on with this relationship and ideally deepen and expand our defence trade," he said. Referring to the growth in India US bilateral defence trade from almost zero to USD 15 billion, Felter said there was tremendous growth potential for the bilateral ties. Atman Trivedi, a former State Department official under the previous Obama Administration said that triggering of sanctions on India because of S-400 deal would "undermine serious American interests". "Too much is at stake to allow individual defence transactions to damage a budding relationship with a promising partner like India. Before it's too late, the two countries should quietly work together to find other arrangements to address India's defence requirements," he added. "If that is not feasible, Congress should provide India a sanctions waiver or consider a larger legislative fix that allows important US allies and partners, like India, to be exempted," Mr Trivedi said. Cara Abercrombie, a visiting scholar in the South Asia Program at the Carnegie Endowment for International Peace, also argued in favour of exemption for India last week. "India warrants an exemption from these secondary sanctions, as does any country with which the US is forging new and strategically important defence relations," Cara Abercrombie wrote in Axios, an online publication. While the US has become its second largest defence supplier, mainly of aircraft and artillery, India still relies heavily on Russian equipment, such as submarines and missiles, that the US has been unwilling to provide, she wrote. "These sanctions, like penalties the US imposed after India's nuclear tests in the 1990s, would sour relations. At worst, they could stoke domestic backlash and close off US defence sales to India for the foreseeable future. "Given bipartisan support for the US India defence relationship, Congress should grant India waiver authority under CAATSA. Without waivers, other important regional partners, like Vietnam and Indonesia, are also likely to trigger sanctions," Cara Abercrombie said. "Seventy per cent of their military hardware is Russian in origin. You can't expect India to go cold turkey on that. We ought to look at ways to have a glide path, so that we can continue to trade in arms within India," Admiral Harry Harris, Commander of US Pacific Command, told a Congressional committee last month.